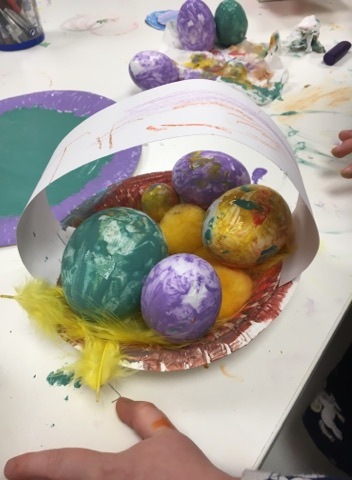 1: Gather your materials and begin to paint the paper bowl in a colour of your choice. 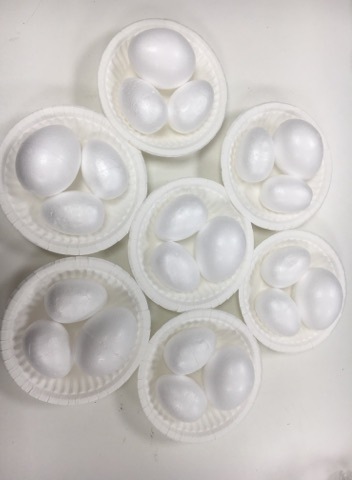 2: Paint a selection of polystyrene eggs and allow them to dry. 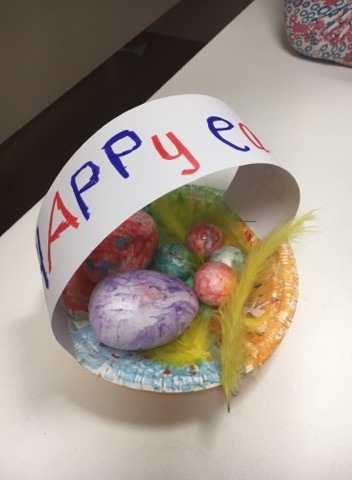 3: Cut out a strip of white card for the handle of the basket and decorate it using the colours. 4: Use the stapler to attach the handle to the paper plate. 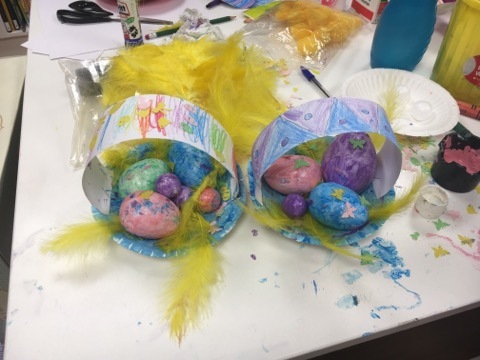 5: Place the polystyrene eggs into the basket, add some feathers and your Easter basket is finished!